If your location is not covered by a local cable TV company you have the option to go for satellite cable television. In the Philippines we have providers like PLDT Cignal, Sky Direct, Gsat, Parasat, Destiny and other operators. Each of them offers affordable SD and HD plans where you need to reload your account every month using retailers and via prepaid card. In this post we will answer the question coming from our contact us page asking “How to load Gsat cable using Globe sim”, we also include the loading procedure from other networks as a reference to other subscribers. You can use any of the networks mentioned above, then simply follow the steps below. 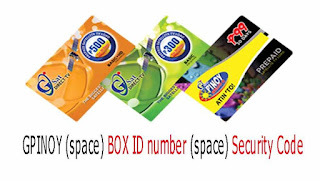 You can visit your Gsat provider and dealers, then buy a prepaid card e.g. (99. 300, 500 pesos for 30 days). Lightly scratch off the protective label at the back of the prepaid card to reveal the Security Code. Use your phone, type the format GPINOY (space) BOX ID number (space) Security Code. Example: GPINOY 1234567891000000 0123456789123456. You will receive a confirmation text message to the mobile number you use to reload your GSat cable TV box. You can also visit your nearest Cebuana Lhuiller to load your Gsat by simply filling up the form then use the code given and follow above steps. but if i didnt receive a text message? what would I do? gud am.. how to load gsat direct tv using my globe retailer sim?